IBC: Can you tell us how the election campaign of TNA proceeding? Sivajilingam: We are actively campaigning not only in Jaffna peninsula but in all parts of the NorthEast. 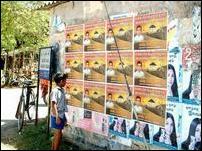 Because of the crisis in Batticaloa, the campaign in the Batticaloa-Amparai district is somewhat subdued. But there are signs that even there situation is becoming better. Door-to-door campaigns, large scale election meetings and music concerts promoting TNA are proceeding at a hectic pace in Jaffna district. IBC: What are people generally asking you during the campaign? Sivajilingam: Tamil people are convinced and firm in their belief that only Tamil unity will propel us to succeed in our struggle. We can see their anguish and despair whenever they sense appearance of divisive tendencies within the Tamil community. We can be certain that Tamil people will reject all elements that can endanger Tamil unity. IBC: Can you articulate for the benefit of our listeners the key components of the TNA's platform? Sivajilingam: In Oslo declaration the Liberation Tigers agreed to consider a solution that satisfies Tamil rights to internal self-determination within a united Sri Lanka. They put forward a proposal for an Interim Self Governing Authority (ISGA) for the NorthEast that will allow the much needed rehabilitation for the war ravaged region. Before the proposal was discussed the Sri Lanka Government was brought down by the actions of the President. We are seeking Tamil peoples mandate to approve the ISGA as the basis for future negotiations. In addition, if we are denied the ISGA, and if military force is unleashed again on our people we are also seeking our peoples mandate to seek complete separation with the support of the International community. IBC: While TNA is reinforcing Tamil Nationalism, what are your opinions on the election candidates who are standing as independents? Sivajilingam: The independents are seeking elections without representing any aspirations of our people. Nor have they presented any development plans that will benefit our people or our region. These candidates are singing their own tunes and their election campaigns are dominated by accusations against opponents' faults, many of which are small and trivial. These independents by their action will ultimately help the chauvinist Sinhala elements. The EPDP, while saying they support Tamils right to self-determination, has joined the UFPA which has rejected the concept of Tamil homeland. IBC: There are reports that some of your supporters have been arrested in Colombo. Sivajilingam: Yes. Four of my supporters who were bringing newly printed leaflets to be used in my campaign were arrested by Sri Lanka police, taken to Maradana police station and are now being detained in Magazine prison. I have raised my strong objections to the Police authorities. I regard this as an act of revenge for the open opposition that I display against the Sri Lanka Government in the parliament. IBC: Do you think there is someone behind these arrests? Sivajilingam: The party working with the Sri Lanka Government in the Jaffna district is prepared to go to great lengths to disturb our campaign. They move around the district protected by Sri Lanka Army (SLA) troops removing our posters, and are focussed on preventing people from supporting us. People are, however, driven more and more towards us watching these groups being helped by the Sinhala army. 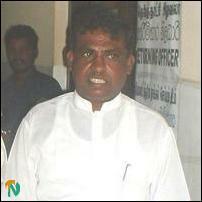 IBC: News reports say that Mavai Senathirajah is going to Trincomalee to participate in election meetings. Sivajilingam: He will be participating in several meetings in Muttur and in Trincomalee. In addition, I am also heading towards Trincomalee to participate in TNA election meetings. IBC: In Jaffna there is a woman candidate contesting on TNA ticket. Can you give us your views on this? Sivajilingam: Ms.Padmini Sithamparanathan is an ardent women's right activist. She has been deeply involved in events related to Tamil Nationalism and her support among Jaffna residents is increasing daily. IBC: You created a stir in Sri Lanka parliament by speaking in Sinhala. During your visits to the Western countries expatriate Tamils flocked to hear your speeches on Tamil Nationalism. Can you describe to us your current activities and your feelings? Sivajilingam: The first six months in my two years in Sri Lanka parliament I spent in a wheelchair. For a year I had to use a walking stick. I have had heated debates with speakers from JVP and also from EPDP MPs when they made degrading statements of our movement or on Tamil Nationalism. Also, talking in Sinhala in Television debates I was able to present our point of view and aspirations to the Sinhala people.